Today, Facebook allows business people to tab into it’s network in an effort to make them find the ideal customers for their business. Facebook advertising is one of the cheapest ways to build interest and awareness in your product. Business people who have mastered the art of Facebook ads in the right manner are now enjoying high numbers of clicks and conversations. They can be able to drive a highly targeted set of audience towards their business. However this does not mean that all of them have the skill required to do this. As much as they have the right adverts, ample budget and targeting, most of them are not able to get the click juice from their Facebook advertising as they would have desired. So what should you do in order to make sure that your Facebook advertisements stands out from the others and has a higher rate of click through. 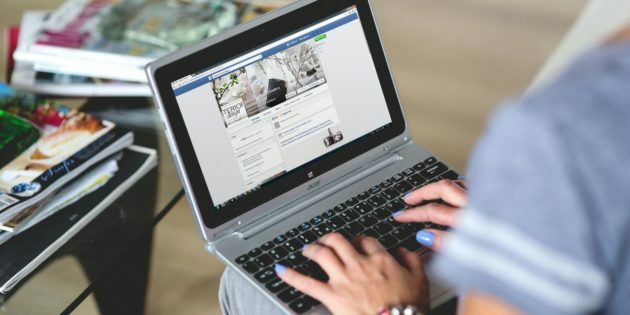 In this article, I have highlighted the most Effective Ways to Get More Clicks on Your Facebook Advertising When You Spend Less. The tips are easy, quick and cheap to implement but will surely go a long way in increasing the response on your Facebook advertisement. When showcasing your product in an advertisement, make sure that the color from the surrounding and the background do not dim down or suppress the color of your product. You can play around and mix the design copy of your advertisement. You can also reorganize and replace components in the images of your ads. This can also be done with the text on a page to attract the user’s eye whenever you want it. About 80% of the total content of your Facebook advertisement real estate is made up of an image or photo. Therefore one of the Effective Ways to Get More Clicks on Your Facebook Advertising When You Spend less is by making sure that the image encourages engagement by being eye catching. For your advertisement on any social media platform to be successful in attracting a high number of traffic, you have to ask yourself if the CTA is related to the type of campaign you are doing. Your advertisement for selling a service or product might look weak and uninteresting it it merely states ‘Read more’ instead or ‘shop now’. You can always replace context that seem to be boring or with less conversations with something more appealing and that motivates towards an outcome. Describe to the viewer what you would love them to do. There are thousands of targeting options that are virtually provided by Facebook ads. Keep looking for your sweet spot by trying out different targeting options until you find the one that works best for you. Keep in mind that you have a very short time of a prospect to draw their attention. The offer you present should be captivating and stand out enough to attract the prospect. Be watchful on your account’s performance and see whatever works and whatever does not. Zero in your best performing audience and ads and target your budget there. The number of times that your advertisement has been viewed by one single person is what is referred to as Facebook advertisement Frequency. Even if you have a frequency of more than three views, you still have a low CTR, this means that you should start considering redesigning your offer or the whole advertisement. The last one in our list of the most Effective Ways to Get More Clicks on Your Facebook Advertising When You Spend less is to add click triggers. Just as the name suggests, click triggers build confidence in prospects encouraging them tot click on your advertisements. For instance, when you are selling a product or service, click triggers such as ‘money back guarantee’ and ‘free shipping’ makes the offer appear to be more promising. All these tips are cost friendly and have been proven to be effective. These are meant not only to help you get more clicks, but also to ensure that you ultimately get a solid conversion rate. Get effective tips on Facebook marketing in your inbox.